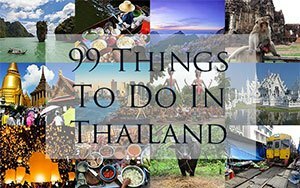 Thailand: just beaches and temples? Oh HELL no. The Kingdom is packed to the gills with opportunities for adventure and physical exertion – you just need to know where to find it. Whether you’re a weekend warrior escaping from the day-to-day drudgery in Bangkok, or simply hopping around the Kingdom on holiday, there are plenty of opportunities to get your thrills here. Skip the dodgy jet ski operators on the beach and opt for properly licensed and insured attractions instead to make sure you’re not compromising on safety. We love a beautiful beach as much as the next person, but very occasionally, we want to feel that blood pumping through our veins as we plunge into the unknown. The Thai Wake Park just outside of Bangkok is a huge stretch of water with plentiful opportunities for wakeboarding on their 2- and 5- Towers Cables, catering to both absolute beginners and the highly skilled, who might like to try out acrobatic maneuvers and tricks on the various features found in the park. 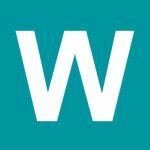 Combining elements from surfing, water skiing and snowboarding, wakeboarding is a great way to challenge yourself in the water, while also proving to be great exercise. A two hour slot starts from ฿850, while discounts are available for Thai Wake Park Club Card members and those under 18. They also have ‘Lady Day’ every Tuesday with discounts for women! Flight of the Gibbon is one of Thailand’s most famous zipline operators, and its Chiang Mai location one of its most popular. In the beautifully lush Mae Takhrai park you’ll fly through the treetop canopy, getting up close and personal with the monkeys and other flora and fauna. The ziplines measure 7 kilometres in total, which includes an 800-metre stretch– the longest single flight in Asia – and is interspersed with 33 stations – some as high as 70 metres above the valley floor. Flight of the Gibbon is also directly involved in gibbon conservation and re-introducing the primate back into the forest. Flight of the Gibbon is ฿3,999 per person. Kayaking down the River Kwai is a must-do for anyone looking to get their fix of history and culture while also indulging in a quick dash of thrill-seeking. There are a plethora of tour operators offering adventure tours around the River Kwai in Kanchanaburi, stretching from a quick 2-hour trip to see the ‘Bridge Over The River Kwai’ all the way to 5-day explorations down the Kwae Noi River to see the notorious Hellfire Pass as well trekking through Sai Yok National Park and its beautiful waterfalls. Prices vary per tour operator and according to the length of trip. IKanKayak‘s prices start at ฿550 for a short tour and culminate in ฿6,950 for a three-day adventure. Krabi’s landscape is famous for its stunning landscape cliffs that frame the coastal area and provide the perfect canvas for rock climbers and boulderers to have their way with. Climbers from around the world flock to the 700+ bolted climbing routes around Railay Beach, but you can also take a course or lesson stint with the many climbing schools located in the area if you’re feeling a little rusty. You may even be joined by a few monkeys if you’re lucky! Deep water solo climbing is also available for the adventurous. Climbing costs vary from school to school. A deep water solo regular day trip is ‎฿800 per person for about 5 hours of climbing over two sites with Base Camp Tonsai. Flyboarding is the latest extreme water sport to capture the hearts of Thailand’s adventurous souls, and the place to do it is undoubtedly Koh Samui. Beautiful landscapes with clear, shallow waters and no jellyfish: where else would you consider jaunting around strapped to a board connected by a long hose to another watercraft? Although the pressure of the water and fear of losing your balance may look difficult, flyboarding is actually relatively easy to master and navigate after some practice. Prices vary per operator but seem to start from around ฿1,500 for ten minutes. Whoever you go with, be mindful that they provide insurance and training beforehand. White water rafting down the scenic Pai river will excite both the die-hard adventurers and the outdoorsmen looking to get closer to nature. The 60 km river stretch from Pai to the city of Mae Hong Son on the Burmese border offers a beautifully rocky landscape in amidst thick jungle with around 60 rapids within it (some reaching up to class 4 – intense, powerful but predictable rapids for advanced rafters). There are a number of rafting operators working in the area; make sure you choose an expedition with an English-speaking captain trained to an international level. Prices vary according to operator and trip length. 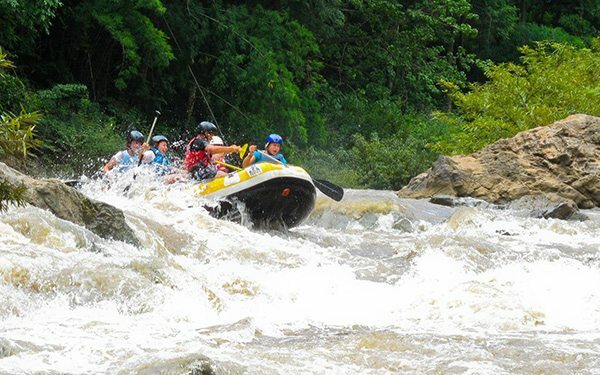 A 1 day rafting trip and 4-wheel drive with Thai Adventure Rafting costs ฿1,800 per person. At the Thai-Burmese border is the seemingly unremarkable village of Umphang – unremarkable save for the fact that it’s the frontier for some truly wild jungle trekking and the entry point for Thailand’s biggest waterfall, Tee Lor Su. Surrounded by limestone cliffs, dense jungle , the UNESCO certified Umphang Wildlife Sanctuary and an abundance of local wildlife, trekking from Umphang will certainly be eye-opening. The length of treks vary per operator although 4 days and upwards seem to be the most common, usually starting in nearby Mae Sot. Prices vary according to tour operator and trip length. Active Thailand‘s 4 days/3 nights offering starts from ฿8,200 per person. From wondrous natural beauty to a big plastic ball rolling down a hill… Regardless, if you’re after a quick fix of unadulterated fun, zorbing should be at the top of your list. A zorb is a large, plastic, transparent sphere with room for two people, providing thrills aplenty as it rolls down a 190-metre long incline (the longest in the world) on either the downhill or twister slope. If you’re feeling particularly adventurous, why not try out a splash ball – a zorb plus 40 litres of water! Three different zorbing programs are available at Rollerball Phuket, beginning at ‎฿950 for one roll and a drink. If you fancy a more gentle thrill without the high speeds but with all of the height and viewing opportunities, why not sign up to the Thai Gliding School where you can learn the art of paragliding? Situated in Rayong atop gentle, unobstructed slopes, you’ll have an unparalleled view of beautiful southern Thailand as you glide through the air. Training packages for beginners cost ‎฿150,000 and last between 7 to 10 days. You can also apply to study for the full certification flight package here too. The Pattaya Bungy Jump‘s jump is 60-metres tall, the highest in Thailand, and attracts an adventurous breed of tourist who fancy a break from the city’s beaches and bars. From that high up, you’ve got a great view over the City of Sin and the Gulf of Thailand too. On the same site is The Human Slingshot, where you’re projected, Angry Birds style, 40-metres into the air reaching a speed of 150 km/hour in under a second, experiencing 4G force. Only daredevils need apply! Prices for the bungee jump start from ‎฿2,200 and The Human Slingshot begins at ‎฿1,200 – both including hotel transport and insurance. The gorgeous marine landscape of the Similan Islands, complete with coral reef, granite boulders, giant fan corals and an abundance of marine life, mean that the Thai islands to the north-west of Phuket in the Andaman Sea are one of the world’s top spots for diving. You can visit the 9 islands as part of ‘liveaboard’ dive trips from Phuket, Koh Lak and Ranong – these are usually 4 day tours although overnight and day trip tours are also available. The Similans are best suited to intermediate to advanced divers and mid-October to early May is peak diving season. Prices vary hugely according to operator, vessel, length of trip and more. For comparison, a low-budget 2 days/1 night (7 dives) liveaboard on the South Siam 3 with Sunrise Divers is ฿12,900 baht. Where’s your pick for adventure activities in Thailand?